Many anatomical variants on the sternocleidomastoid muscle have been reported. 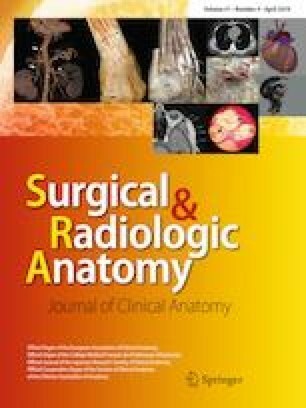 In this study, supernumerary clavicular heads of sternocleidomastoid muscle in a Korean female cadaver were bilaterally displayed. The observed supernumerary heads were classified as follows: one sterno-mastoid, one cleido-occipital and one cleido-mastoid on the right side, and one sterno-mastoid-occipital, four cleido-occipitals, and one cleido-mastoid on the left side. The sterno-mastoid and sterno-mastoid-occipital and the cleido-occipital made the superficial layer of the sternocleidomastoid muscle, while others made deep layer. We discussed clinical relevance and developmental basis of these muscular variations important for clinicians and anatomists. This research was supported by the 2019 scientific promotion program funded by Jeju National University. Oh JS and Kim CE found the case and acquired the primitive data. Kim J and Yoon SP analyzed the data and references. Oh JS and Kim CE wrote the manuscript. Oh JS, Kim J, and Yoon SP revised the manuscript. All authors approved the manuscript.